In a society where time is more and more precise and omnipresent, we forget to take time for contemplation. 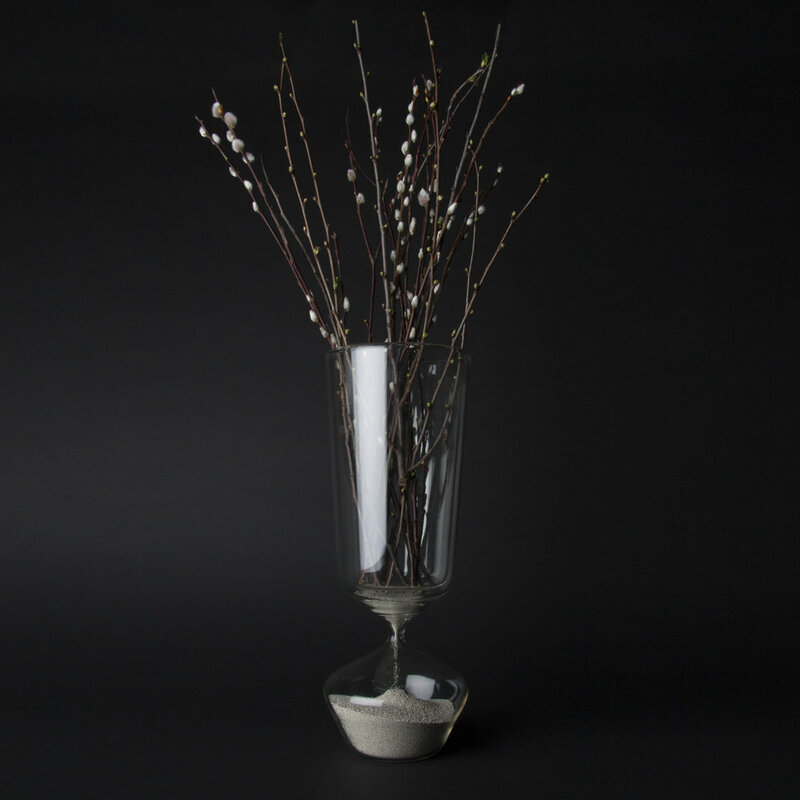 Overwhelmed by objects, we no longer take the time to appreciate them. Like silhouettes dressed in glass, the "Maîtres du Temps" (“Masters of Time” in french) question us on the perception of the passing of time and the value we give it. 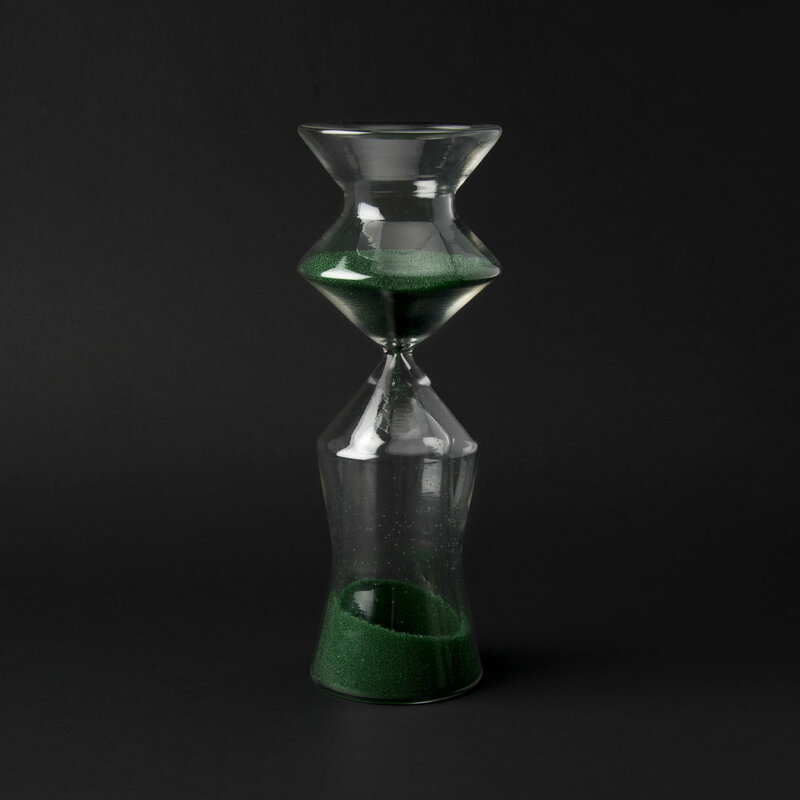 The "Maîtres du Temps" is a serie of asymmetrical hourglasses that dilute time with each manipulation. Grouped in tribe or solo, they will let a unique temporal measurement flow, by turning them over, while revealing a hidden function, hidden in the dress of their walls. The moving beads captivate the eye and hypnotize it, encouraging it to observe and appreciate the object that is revealed in a vase or a cup. A space sometimes empty, sometimes full, depending on the choice. 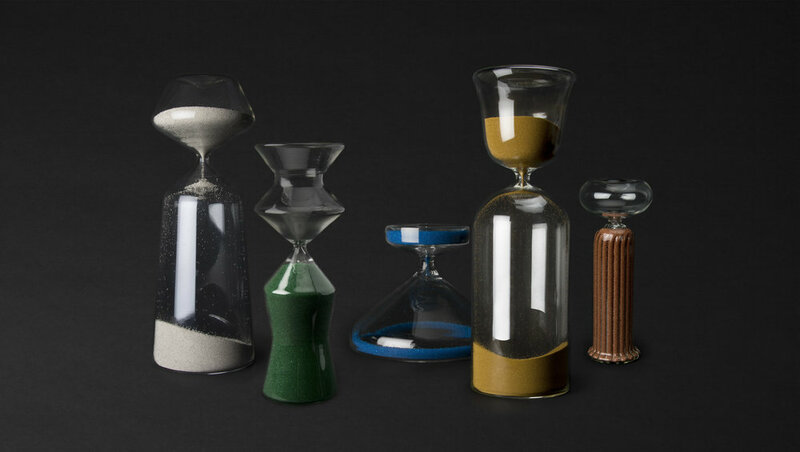 Each hourglass is hand-blown in a workshop in Switzerland. 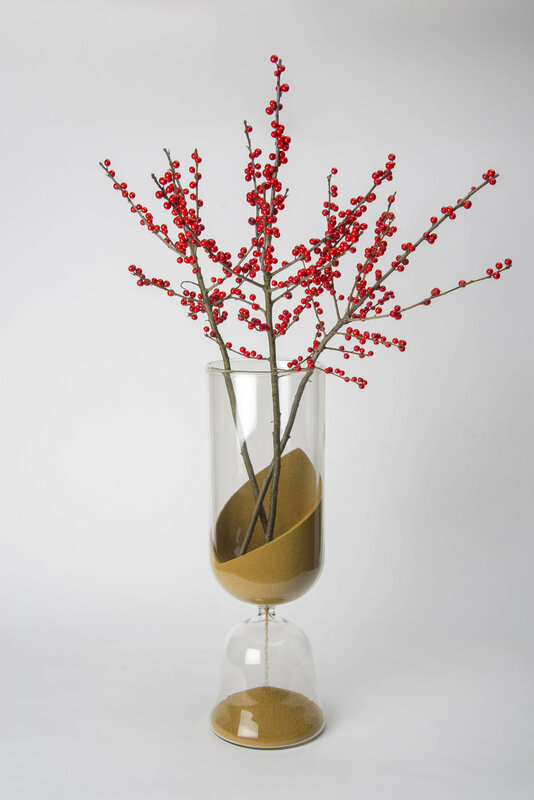 The development was a collaboration with the glassmakers to test the limits of their know-how. It was very interesting to be able to analyze and understand how far we could go in thicknesses and shapes to create surprising glass beads flows. 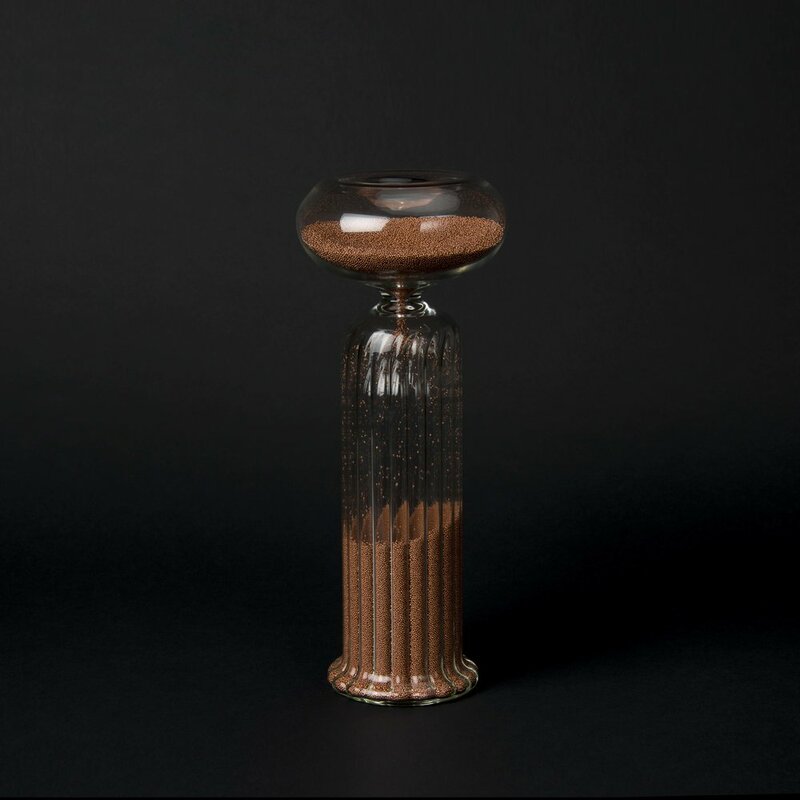 The creation of an optical effect challenges us by the content of the small container which flows into a larger one and gives the illusion of filling it completely. 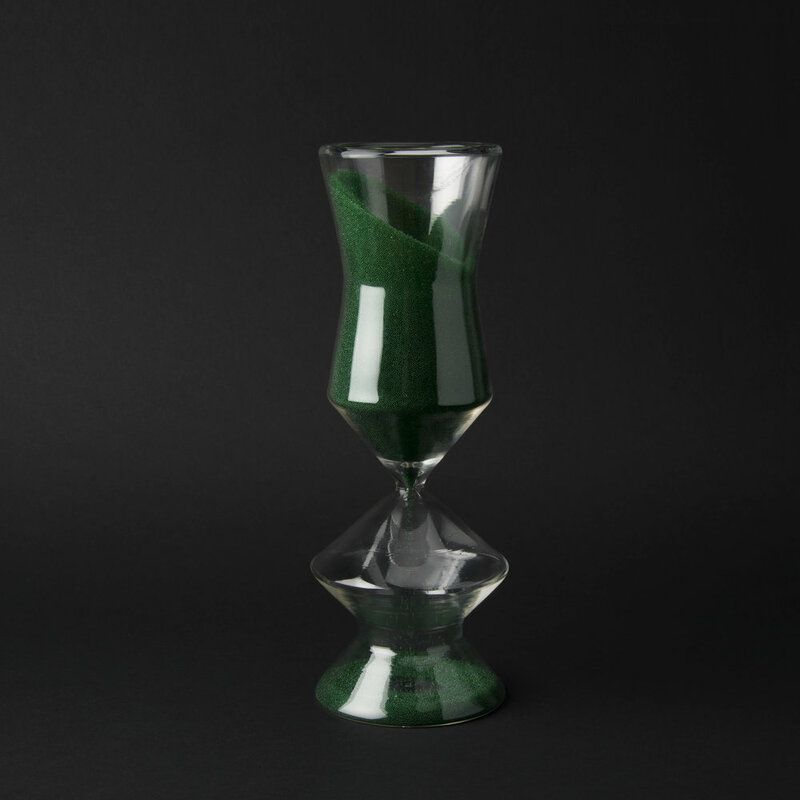 Thanks to its walls, the sliding of balls in the hourglasses creates a fascinating and relaxing sound.